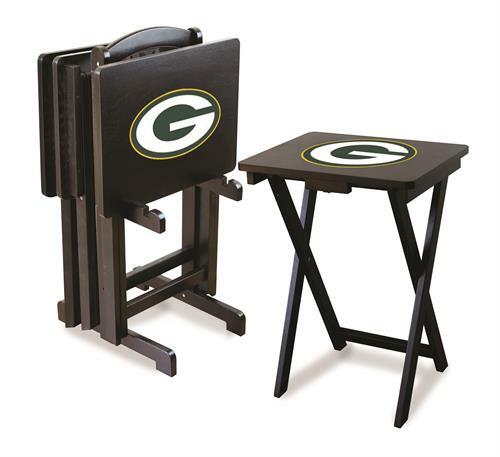 Show your team spirit with a Green Bay Packers TV Snack Tray Set from Imperial International. These heavy duty trays are made from select hardwoods with a durable easy to clean surface and the set comes with 4 trays and a storage rack. A great way to finish off your game room!